Medical acupuncturists are trained in a western form of acupuncture, its primary objective to treat painful ‘trigger points’ in the bodies muscles and fascia. An active trigger point is a hypersensitive point in the muscles or connective tissue (fascia), which causes local or referred pain. Treatment of indicated trigger points with dry needling during medical acupuncture treatment works to treat musculoskeletal issues by reducing pain, easing muscle spasm, and helping restore biomechanical function. Many theories exist to explain acupuncture’s well-documented pain-reducing effects, which are believed to include peripheral, segmental and central neurophysiological mechanisms. Kipp trained in medical acupuncture through OMT Training, with the respected Osteopath and author of ‘Dry Needling for Manual Therapists’, Giles Gyer. Although trigger points often exist on or near Chinese acupuncture points, situated on the body’s ‘meridians’ (Chinese energy lines), medical acupuncture is a distinctly different therapy to Chinese acupuncture in a number of important ways. Chinese acupuncture follows the principles of traditional Chinese medicine (TCM), whereas medical acupuncture follows western, scientific principles. Acupuncture points are anatomically defined (always in the same place), whereas trigger points can exist anywhere in the body’s soft tissues. Needle placement in Chinese acupuncture is governed by the meridians, whereas anatomy is the key consideration in medical acupuncture. Lastly Chinese acupuncture can also aim to treat chronic ill health, emotional issues and restore correct body system function, by correcting energy flow in the body. 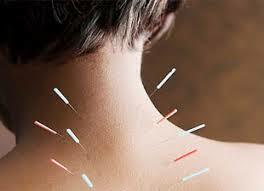 In contrast medical acupuncture aims to treat solely musculoskeletal issues, by neuromuscular means. Chinese acupuncture is of course also used to address pain conditions and the Chinese ‘Ah Shi’ points are thought to correspond with western trigger points. Medical Acupuncture has proven particularly beneficial in treating acute pain, headaches and migraines, tendinopathies (including tendinitis), muscular spasm, cricked necks, bursitis, arthritis pain and chronic strains/sprains.